TWY JAMES STARTED DOING HYPNOSIS IN 2006. HE STARTED WORKING ALONGSIDE A MASTER HYPNOTIST LEARNING ALL THE SKILLS OF THE HYPNOSIS CRAFT. THEN A YEAR LATER BEGAN DOING SHOWS OF HIS OWN. 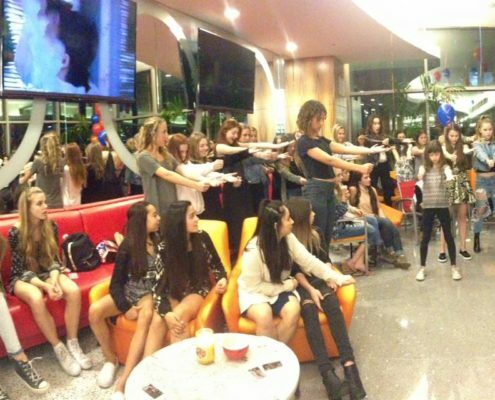 IT WAS GREAT TO SEE HOW HAPPY THE PEOPLE WERE TO HAVE THEIR EVENT BECOME A HILARIOUSLY GREAT TIME JUST BY ADDING A HYPNOTIST. THIS INSPIRED HYPNOTWYZ TO GO TO SCHOOL AND BECOME A CERTIFIED HYPNOTHERAPIST. 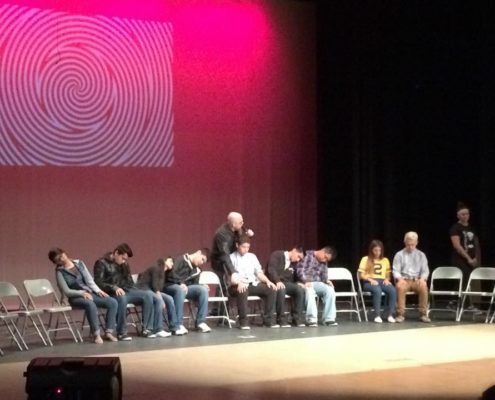 NOW BEING CERTIFIED IN HYPNOTHERAPY BY THE NATIONAL GUILD OF HYPNOTISTS, TWY IS DOING SHOWS ALL OVER THE UNITED STATES. HE ENJOYS HYPNOTIZING PEOPLE HELPING THEM BE THE STARS OF THE SHOW AMONGST THE THUNDERING LAUGHTER AND APPLAUSE OF THE CROWD. 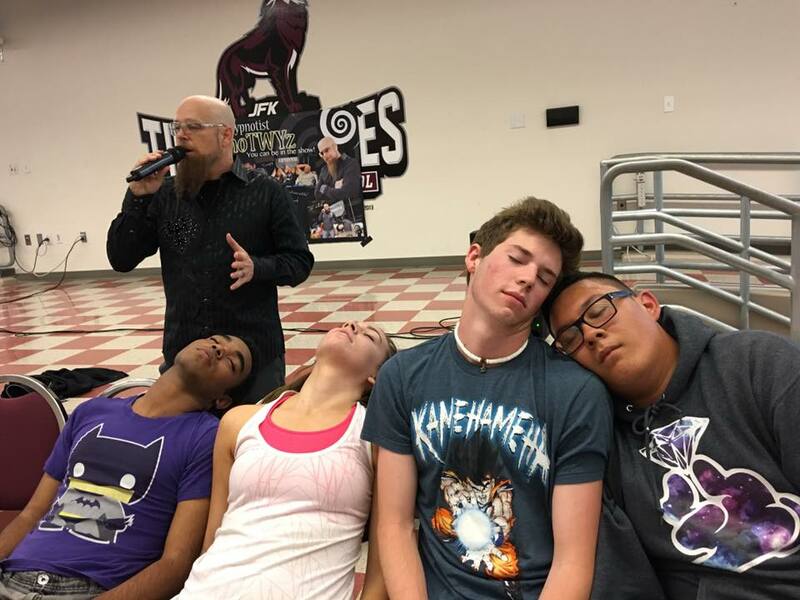 BY USING THE POWER OF HYPNOSIS, HE IS ABLE TO HELP PEOPLE OVER COME VARIOUS THINGS IN A PERSONS LIFE THAT THEY WERE NOT OTHERWISE ABLE TO OVERCOME. OVERCOMING ADDICTIONS, GETTING IN BETTER SHAPE BY ENJOYING EXERCISE, OVERCOMING INSOMNIA, BECOMING HEALTHY BY ENJOYING HEALTHIER FOODS, STOPPING BAD HABITS. BECOMING COMPETENT AT PUBLIC SPEAKING, AND THE LIST GOES ON. THROUGH THE POWER OF HYPNOSIS HYPNOTHERAPY TWY JAMES IS ABLE TO HELP YOU BECOME ALL THAT YOU WANT TO BE. 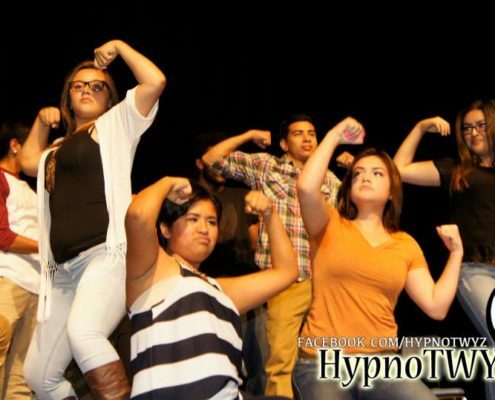 HYPNOTWY’Z COMEDY HYPNOSIS SHOW TURNS ORDINARY PEOPLE INTO THE STARS OF THE SHOW. SEE YOUR FRIENDS, YOUR COWORKERS, YOUR FAMILY MEMBERS OR YOUR GUESTS BECOME THE STARS. TWY JAMES HAS BEEN PERFORMING ON STAGES FOR 15 YEARS AND HAS A CHARISMATIC WAY OF EXCITING SMALL OR LARGE CROWDS. 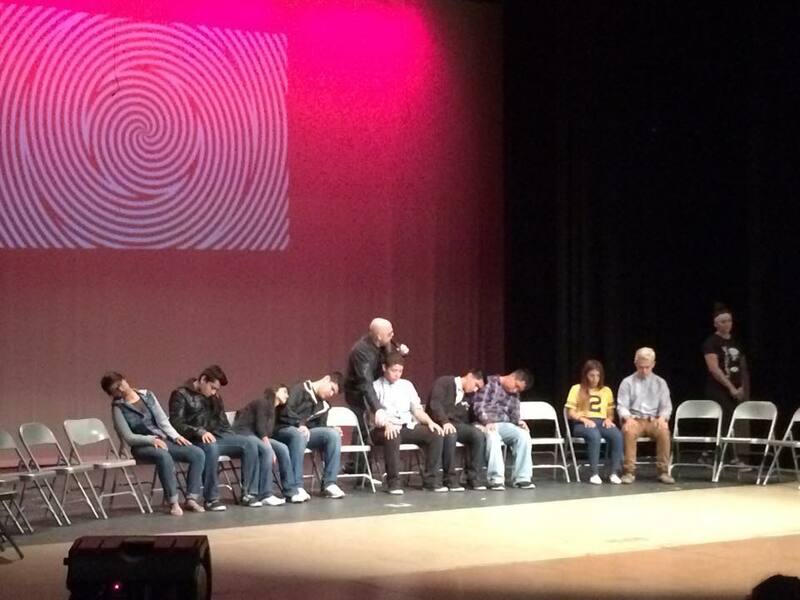 TWY USHERS MEMBERS OF THE AUDIENCE TO BREAK OUT OF THEIR SHELLS WITH THE POWER OF HYPNOSIS. THE SHOW IS CLEAN AND RESPECTFUL AND FUN FOR ALL AUDIENCES. YOU WILL SEE HILARIOUS AND AMAZING THINGS HAPPEN WHEN THE POWER OF THE SUBCONSCIOUS MIND IS RELEASED. 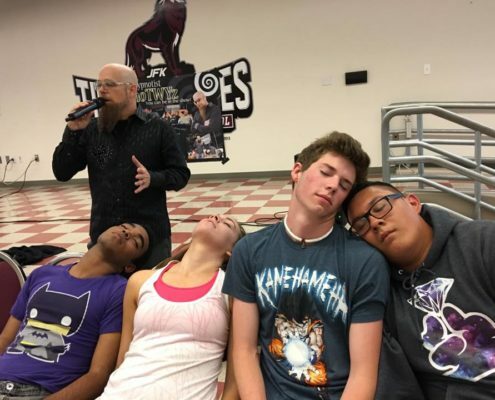 AUDIENCES WILL EXPERIENCE EXCITEMENT, ASTONISHMENT AND LAUGHTER WATCHING A FAST-PACED SHOW WITH A CUSTOMIZED MIX OF MUSIC WHILE VOLUNTEERS ACT OUT COMEDY SCENARIOS WHILE UNDER HYPNOSIS ACTUALLY BELIEVING THEY ARE REALLY HAPPENING. AFTER PERFORMING IN THE SHOW, EACH WILL FEEL AN AMAZING FEELING JUST LIKE THEY HAD A FULL BODY MASSAGE. AN ACTION-PACKED SHOW THAT IS TAILORED FOR YOUR AUDIENCE. FAST PACED INTERACTIVE SHOW, FULL OF ENERGY, WITH CHOREOGRAPHED MUSIC, AUDIENCE PARTICIPATION, AND ASTONISHING DISPLAYS OF HYPNOSIS. A FREE COPY OF THE SHOW ON VIDEO JUST FOR YOU AND YOUR GUESTS. EASY STEP-BY-STEP BOOKING. WE ARE HAPPY TO ANSWER ANY QUESTIONS YOU HAVE PROVIDING YOU AN OUTSTANDING CUSTOMER SERVICE. SAFETY-CERTIFIED HYPNOTHERAPIST WHO IS WELL TRAINED IN HYPNOSIS, SO YOU NEVER HAVE TO WORRY AND CAN BOOK WITH CONFIDENCE. HYPNOSIS IS A DEEP STATE OF RELAXATION DURING WHICH YOUR SUBCONSCIOUS MIND IS OPEN TO SUGGESTIONS. A HYPNOTIST WILL GUIDE YOU THROUGH A SENSORY EXPERIENCE USING VISUALIZATION TECHNIQUES TO HELP YOU TO RELAX YOUR MIND AND ALLOW YOURSELF TO LET GO. IT IS A NORMAL STATE OF MIND THAT WE EXPERIENCE EVERYDAY IN DIFFERENT WAYS. FOR EXAMPLE, YOU MAY BE LISTENING TO MUSIC AND FIND YOURSELF DRIFTING OFF INTO A PEACEFUL RELAXATION WHILE DRIVING YOUR CAR AND FIND YOURSELF AT YOUR DESTINATION, NOT KNOWING HOW YOU GOT THERE. YOUR SUBCONSCIOUS MIND WAS ON AUTO PILOT, KEEPING YOU RELAXED AND OPERATING THE VEHICLE WHILE YOU ENJOYED THE MUSIC. YOUR SUBCONSCIOUS MIND, EVEN WHILE HYPNOTIZED BY THE MUSIC, KEEPS YOU PERFECTLY SAFE CONTINUING TO DRIVE THE CAR. 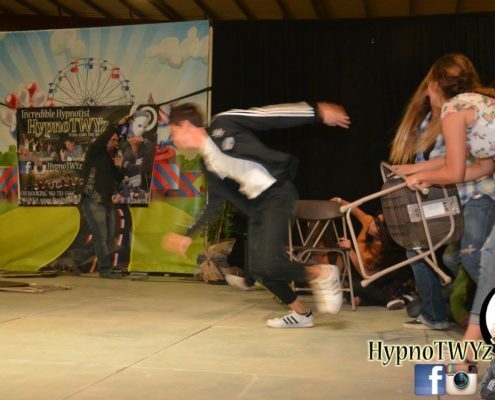 JUST AS PEOPLE IN A HYPNOSIS SHOW WILL ALWAYS KEEP THEM SELVES SAFE AND WON’T DO ANYTHING THEY WOULD NOT NORMALLY DO. HYPNOSIS IS NOT BRAIN WASHING OR MIND CONTROL. YOU CANNOT BE MADE TO DO ANYTHING OUTSIDE OF YOUR OWN MORAL COMPASS. IT IS NOTHING LIKE HOW THEY DEPICT IT IN BOOKS OR IN THE MOVIES. 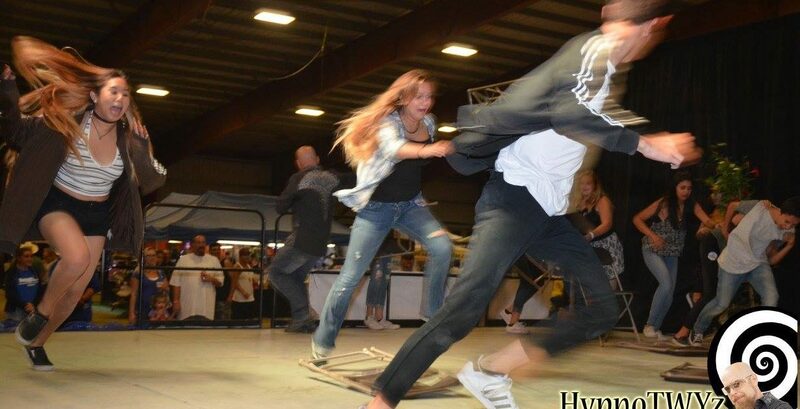 PEOPLE WHO HAVE BEEN HYPNOTIZED DO NOT LOSE CONTROL OVER THEIR BEHAVIOR. THEY TYPICALLY REMAIN AWARE OF WHO THEY ARE AND WHERE THEY ARE AND THEY USUALLY REMEMBER WHAT HAPPENED DURING HYPNOSIS. THEY ARE JUST SO RELAXED THEY COMPLY AND RECEIVE THE SUGGESTIONS WILLINGLY. ANYONE CAN BE HYPNOTIZED IF THAT IS WHAT THEY WANT. ONE OF THE REQUIREMENTS IS THAT YOU ARE A WILLING PARTICIPANT AND ARE NOT BEING FORCED INTO HYPNOSIS. A HYPNOTIST OR HYPNOTHERAPIST WILL NOT FORCE ANYONE TO DO ANYTHING AND WILL NOT ALLOW OTHERS TO PRESSURE YOU INTO BEING HYPNOTIZED. 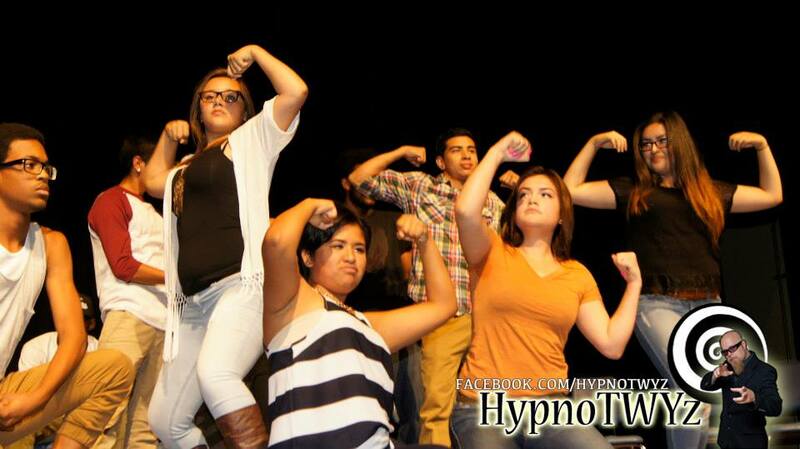 At first I wasn’t sure if people in our group were gonna be hypnotized for real. But after seeing 2 of my closest friends in the show. LOL I was laughing so hard. I know for a fact they must have been way hypnotized to do what they did. The show had great music. 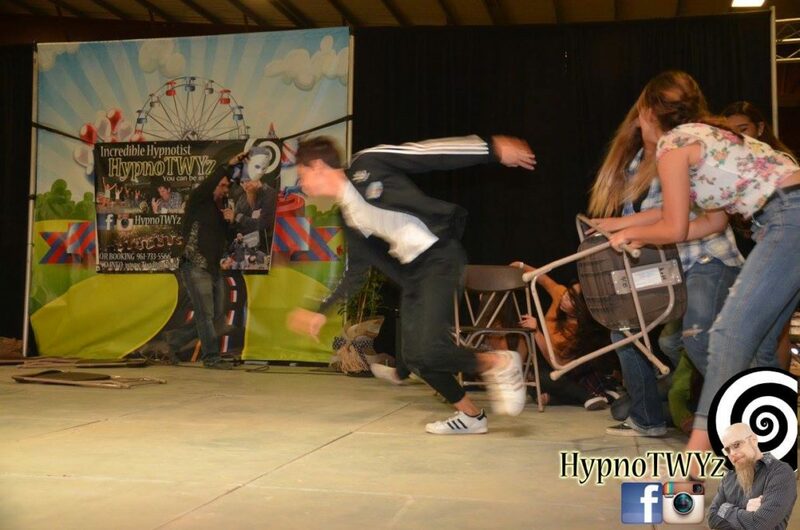 Hypnotwyz keeps it fast moving and energetic. I even got a free video of the show which still cracks me up when I watch it. I will have Twy at our next event. People are still talking about the last one.